We are leading manufacturer, exporter and supplier of Spare Parts for Stenter Machine like Pin Bars Parts with international standard from last 25 years from India. 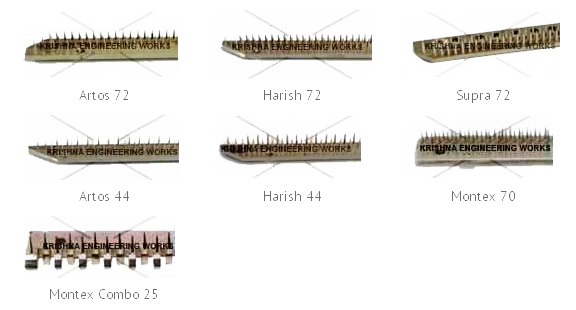 Krishna Engineering Works have been manufacturing, exporting and supplying Pin Bar, Pin Plates from last 25 years from India. Pin 44/ 72 pins, also dealing on Pin Bars for all makes of Stenter Machine more accurate and easy. We are also dealing on pressure dye casted Aluminum alloy pin block and hardened and hard chromed plated pin bar.